I love the cool vintage-looking printer trays on the market these days. I've been so inspired by the projects I've seen out in blog-land in how to use them. I purchased this one and am dying to play with it. But the question is if I go with holiday themes or just a general year-round approach? Let me know if these appeal to you! You can click the images for more information. 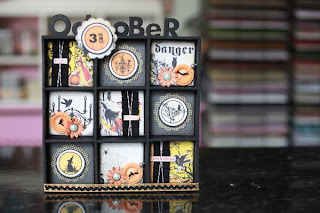 I love this Halloween one from Scrappin' The Details too! 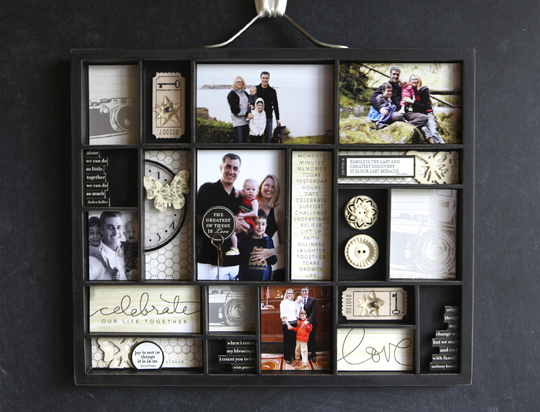 Wendy Smedley used one of the trays to make this great ispy tray for a family gift. Wendy also created this cute Christmas display! ﻿In case you'd rather have the real deal, check out etsy for some authentic vintage printer's trays!